Most of the nation and the world were saddened to learn of the death of the beloved musician Prince Rogers Wilson (June 7, 1958 – April 21, 2016). His music was both remarkable and revolutionary; selling 100 million records worldwide - winning seven Grammys, an Academy award and a Golden Globe Award. 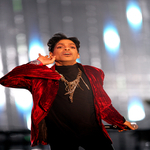 Prince is considered to be one of the best musical artists of all time. His death came as shock to his fans and even his close friends. The cause of his death came as even bigger surprise, when the world learned that the artist's death was likely the cause of a drug overdose, and that he had plans in the works to attend a substance use disorder treatment center right up until his passing. Sadly, as we have seen over the last decade in the wake of an opioid epidemic, many overdoses have fatal outcomes. A large number of such overdose death victims never had the opportunity to receive help and give recovery a shot. The dramatic surge in fatal overdoses in the United States has led lawmakers, law enforcement and health experts to call for greater access to the overdose opioid reversal drug naloxone. The drug has been hailed as a miracle drug that carries the power to reverse the deadly symptoms of an overdose. In the past, when someone was fortunate to survive a drug overdose they would usually have to do some explaining to police officers - the overdose survivor would likely have to do some time behind bars for the crime of addiction. Today, in many areas around the country, as opposed to incarcerating overdose victims, both law enforcement and doctors are using the nearly fatal experience as an eye opener. Surviving an overdose is a scary event, and can serve as a perfect opportunity to convince an opioid addict to seek help with their addiction. Living to talk about one's overdose is a miracle. Those who experience an overdose have been found to be exponentially more likely to experience another, and the likelihood of surviving a second overdose is exponentially less likely. This is why it is paramount that overdose victims get help immediately after recovering from the experience. Unfortunately, Prince’s death last month has become a prime example of just how critical it is that overdose survivors get into addiction treatment with haste. It turns out that six days prior to the artist's untimely death, Prince overdosed on the prescription painkiller Percocet, The Wall Street Journal reports. Even though the overdose happened while in flight, the plane made an emergency landing and the artist was brought to a hospital in Moline, Ill. Medical personnel administered naloxone and were able to revive Prince. After which, he began discussing treatment plans with a center in California. While the coroner’s toxicology report has not been released, the general consensus is that his death was the result of another overdose - considering that the artist had opioids in his possession at the time of his premature passing. No one can deny that Prince’s death, like so many other preventable drug related deaths, was a tragedy. However, perhaps a silver lining can be drawn from Prince’s overdose death, and that is just how important it is to get into treatment immediately after surviving an overdose. Such events could be a part of one’s story, rather than the end; an overdose could be the turning point in one’s life that jettisons them into a life of recovery.